List of Abbreviations. Preface. Acknowledgments. Introduction Rajen Harshe and Dhananjay Tripathi Part 1 Locating Afghanistan in Globalising World and Testing Theories of International Relations 1. Situating Afghanistan in Globalising World Rajen Harshe 2. The Many Lives of Afghanistan: Re-assessing Disciplinary International Relations Siddharth Mallavarapu 3. Rethinking Stability for Afghanistan: Socialising Great Powers in a Multilateral Order Omar Sadr Part II The U.S.A., NATO and Afghanistan 4. The US Role in Afghanistan: A Critical Overview Dhananjay Tripathi 5. The Afghan National Security Force: The Challenges and Implications of the NATO Withdrawal Jayant Singh 6. For Durable Peace and Stability: Discussing Prospects of the NATO’s Membership for Afghanistan Mirwais Balkhi Part III Afghanistan and Major Powers 7. Germany’s Engagement in Afghanistan Sandra Destradi 8. 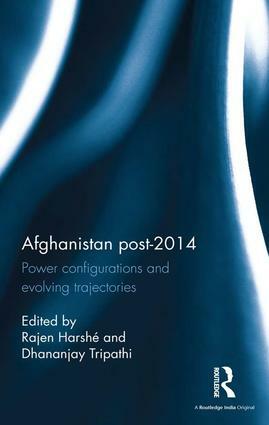 Developments in Afghanistan After 2014: A Perspective from Russia and Its Possible Role Nikolay N. Gudalov 9. Withdrawal of the NATO and Indo-Afghan Relations: Emerging Possibilities and Challenges Shaji S Part IV Regional Perspectives on Afghanistan 10. Nailing Jell-O: Regional Organisations and Afghanistan’s Security After 2014 Stephen Kingah 11. Afghanistan in the South Asian Traditional and Non-traditional Security Paradigm Arpita Basu Roy 12. Drawdown from Afghanistan: Implications for India’s Engagement in Central Asia Athar Zafar and Dinoj K. Upadhyay About the Contributors. Index.